This article was written by Rebekah Iliff and was originally published by Forbes on 09/01/16. Without intending to, a company’s departments sometimes end up working in ineffective silos. A tech team without communications professionals can’t shed light on their achievements uber-effectively. An innovative ASMR advertising campaign can’t get many kudos without public relations, and the news of a rebrand can’t spread as fast organically as it can with media outreach. Stitching together cross-functional teams leads to greater innovation and opportunity. At the same time, there’s a bit of a stigma about bringing too many cooks into the kitchen. Does your art director really need to help approve the imagery you’re sending to a journalist? Does your public relations department really need to know if the copy team is writing a spur-of-the-moment April Fool’s Day display ad before it goes live? In both situations, the answer is yes. It may take longer to loop in other teams, but it’s worth it. Which brings us to two teams that frequently overlap without many people realizing it: public relations and brand strategy. These teams are often severed from contact, even though it’s paramount that they work together. Together, they are more effective, as both teams deal with messaging, public perception and customer touch points. 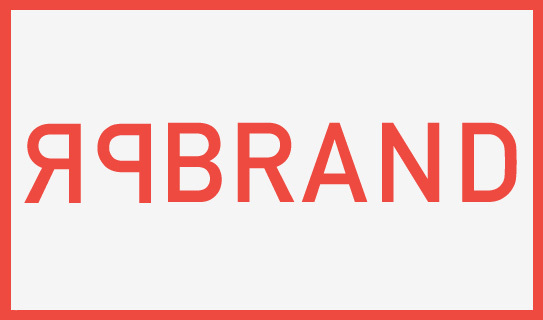 Fabian Geyrhalter, Principal and Founder of Los Angeles-based design and branding agency FINIEN, recently released the second edition of How to Launch a Brand, which covers everything from brand positioning and naming to brand identity. He’s launched more than 50 brands – large and small – and knows that brand strategy is more effective when it’s backed by an integrated PR and communications plan. Here are three ways public relations and brand strategy teams are related and why it’s important, according to Geyrhalter, a fellow Forbes Agency Council member. While copywriters, often living on branding or creative teams, work to align copy with a brand’s voice guidelines, public relations teams align messaging with a brand’s key ideas. In that sense, branding/creative and PR teams are the two wings holding a company accountable for what it communicates to the public, from board members to customers and journalists. As an executive at a PR tech company, I see Fitbit as a successful brand that has these teams in coordination. Think about Fitbit’s brand voice: It’s clear, concise, encouraging and motivational. If copywriting contradicts the foundational messaging a PR team is using, misalignment occurs and it can chip away at credibility long term. Imagine if Fitbit sent you a marketing email encouraging you to get a few extra thousand steps in today, while its CEO was quoted in a popular health magazine saying steps don’t matter, only calories. Customers may not notice, but journalists likely would; “misaligned” isn’t a way you want your brand to be perceived. While copywriting and graphic designers and/or UX design control public perception of a brand from a customer standpoint, public relations and communications teams control public perception from the standpoint of investors, board members, influencers (from journalists and analysts to bloggers), and more. Both branding and public relations teams give companies real, human faces through characters and spokespeople, some of whom are real employees, some of whom are figments of our imaginations. “Characters give the audience someone to root for and follow,” writes Geyrhalter, referencing Mr. Clean, Virgin’s Richard Branson, and Dos Equis’ “Most Interesting Man in the World” as personalities that have garnered impressive followings. Natural foods brand Kashi is another example Geyrhalter mentions in his book. Kashi has taken a different approach in leveraging its real employees as brand ambassadors, showcasing how its actual team members live and breathe the Kashi lifestyle. “Thinking of your brand as a person will help you create an authentic voice that will connect with consumers,” writes Geyrhalter. He suggests writing a list of adjectives that describe your brand or writing a faux obituary that includes a list of life accomplishments to better illustrate these personas. How would the brand persona be remembered? In public relations and communications, real spokespeople – from CEOs who can speak to high-level strategy to CFOs who can talk publicly about financial matters such as an IPO behind a brand are what the public and journalists want (versus boilerplate messaging penned by a PR professional). Next time you’re poised to launch a PR campaign, perhaps take a moment to ask yourself if the brand is represented fully in every aspect of your company’s outward facing narrative. In other words, are you certain that brand and communications are effectively working together?